The pitch passed inspection in the morning and the game was on at Lower Mains Park. 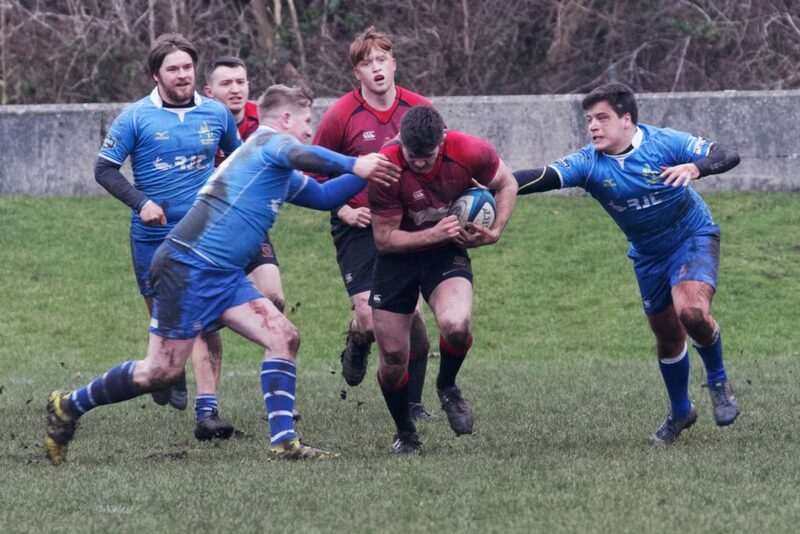 The 2s team was much improved from the previous week where we had travelled to Gala with a very under strength side and no subs and suffered as a result. There was much anticipation about this fixture as Jedforest sat at the top of the league , with only one defeat, having dished out a few big scores to other teams. However the Reds’ team was strengthened by the return of the Walker brothers, Ally and Cammy who were back in at the centre and wing respectively. Jeff Martin was back in an unusual role at stand off and Drew Sommerville back from his skiing trip added to the team. Combined with the old heads of Gus McNab and Andrew Archer, who always lead by example, the Manager was confident the Reds’ 2s would give a good account of themselves. The game started as we expected with Jed throwing all they had at the Reds through the centre and showing some good off loading and pace in attack. Tackling was strong from the Reds and their shape held well. This resulted in some quick ball across the backs where Cammy Walker, keen to be back after injury, went outside his man and scored in the corner. 5-0 to the Reds. 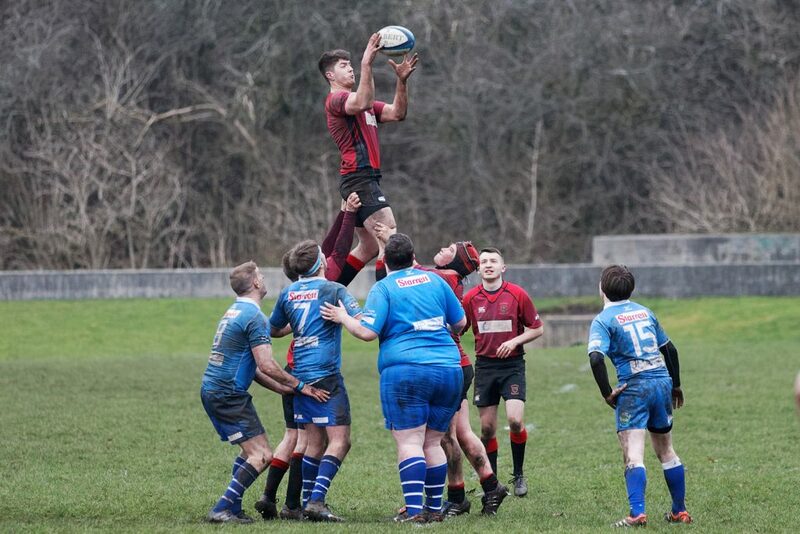 The Reds were competing well at scrum and line out with Duncan McClymont and Drew Sommerville claiming a lot of good ball from Stu Young’s throws. 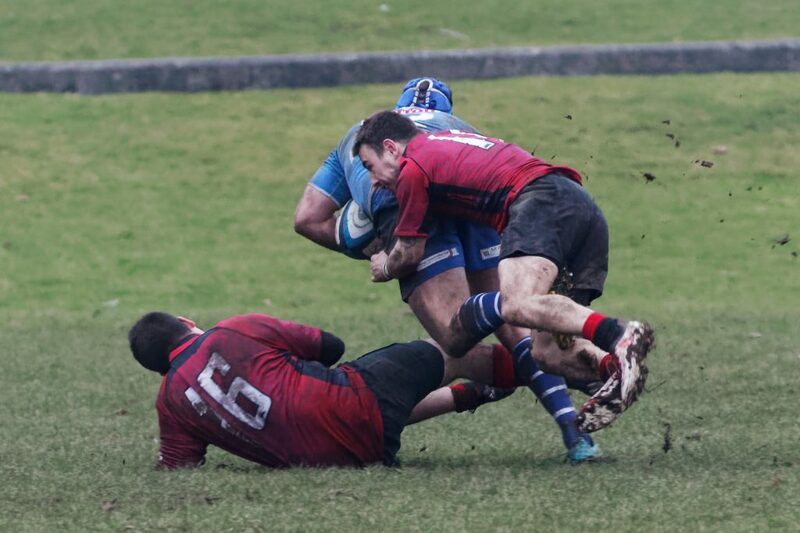 The scrum held well where Matty Sommerville must have been giving away at least 50kg to his opposite number. On the other side, at loose head, Sam Buckley was solid in the scrum and also tacking well close to the rucks. The game plan was simple, for Robbie Thomson at scrum half and Jeff Martin at standoff to use there boot to gain ground up the park where the kick chase was good from Charles Ackhurst and Callum Ross. “Keep the ball down the park and defend high up the park”, was the mantra which worked well and Ross Oliver made two or three cracking tackles on players who thought they were away when they broke through the Reds first line of defence. As a result of this kind of play the forwards pressed and harrassed the Jed forwards at scrum and lineout. From a ruck close to the Jed line, Lewis McKie barged through a few tackles and scored a nice try. Unfortunately at this time Gus McNab hurt his arm and the Chess Master Stu Gordon came on, Stu Young went to back row and a bit of change took place. As often happens in these cases concentration dips and, after a couple of stupid handling errors, Jed got a try which they converted. 10-7 to the Reds. 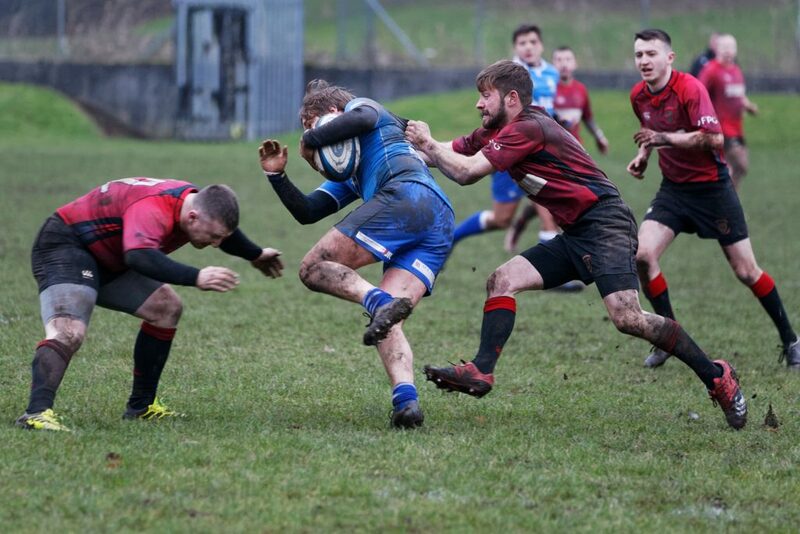 But the Reds’ 2s stuck to their task playing intelligent rugby and tackling and covering for each other. From another great backs move Jeff Martin looped round his centre but saw two Jed players coming across to melt him. He then stepped inside and passed to Euan Muzz Murray who strolled between the posts to score. 15-7 for the Reds at half-time. The Reds were deservedly in front and in control at half-time, but the game was not over. Jed manged to get another try in the second half and the Reds should have had more when they were camped on the Jed line for an eternity. The Reds’ 2s managed to keep Jed in their half of the field for most of the half, which was important, and kept hitting and knocking them down when they got the ball. The game became more scrappy as the pitch got slippier and as the players tired, but with great effort the Reds held on for their biggest win of their season, beating the league leaders by a score of 15-12. Well done for the grit and determination shown which resulted in a good win.